Pregnancy is considered one of the most rewarding experiences for most women. However, it can also cause a whole lot of discomfort because of the various changes that the woman’s body undergoes. For this reason, it is worth to invest in various prenatal accessories like the best pregnancy body pillow to provide comfort and relief. However, it is essential to remember that not all pregnancy body pillows are created equal. You need to find the best pregnancy pillow that will provide you full support on your hips, stomach and back. Not just that, you should also consider different factors like the materials the pillow is made. While many people may consider a pregnancy body pillow a luxury for pregnant women, this is in fact a necessity. It offers various benefits including providing pregnant women with the highest level of comfort. Pregnant women often feel discomfort because of their growing belly. But, with the right type of pillow, this discomfort can be reduced. Pregnancy body pillows are large pillows that come in various shapes and sizes. With the right type of pregnancy pillow, pregnant women can become more comfortable, allowing them to sleep and rest well. Full Length Pregnancy Pillows. This type of pregnancy pillow is the most popular. It provides comprehensive support from the head to the toes. This pillow measures about six feet in length and can be wrapped around the body for maximum comfort. Wedge Pregnancy Pillow. This type of pillow is available in small triangular shapes. This pillow provides support to specific parts of the body. 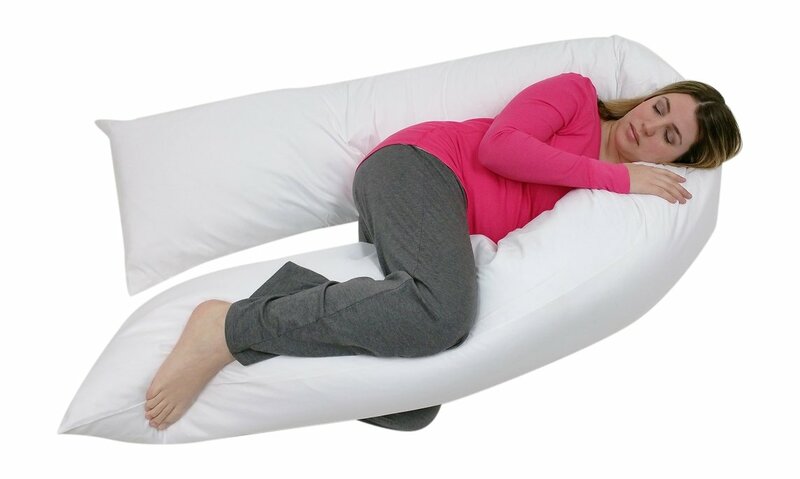 Bean-Shaped Pregnancy Pillow. This type of pillow is shaped like a bean with straps on both sides. 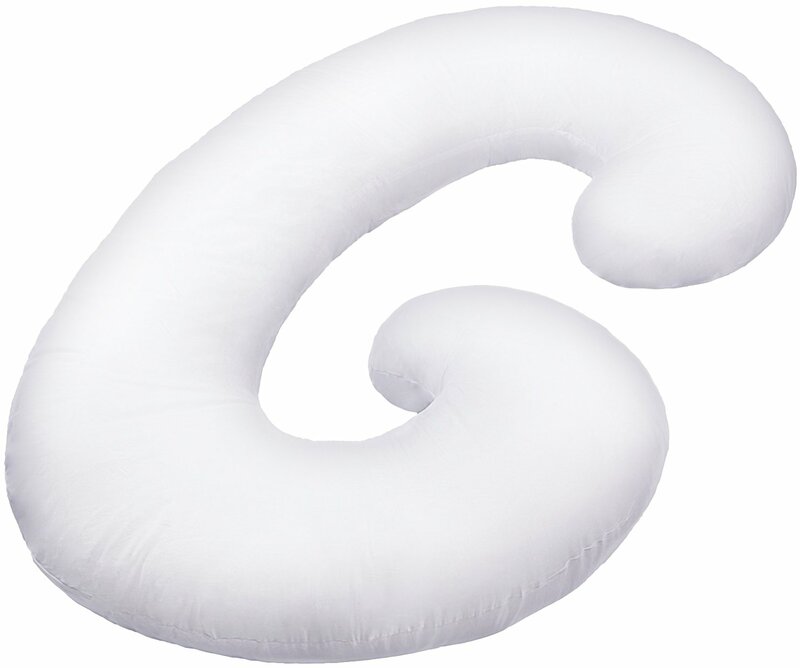 This pillow offers support to the stomach, especially when your stomach grows bigger and heavier. Shaped Pregnancy Pillows. 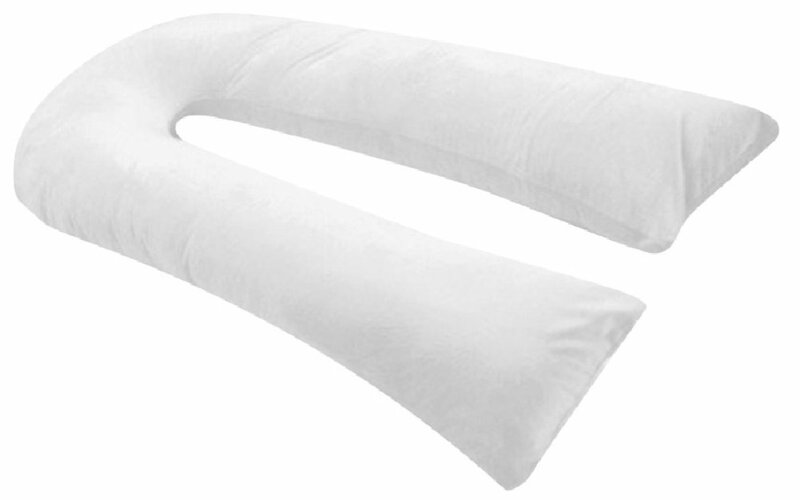 This type of pillow comes in various shapes, including J, U, C, and V. It is important to choose the right shaped pillow that offers maximum support. Flexible Maternity Pillows. This type of maternity pillow is the most versatile type, as this can be shaped according to preferences. Pregnancy body pillows are made from different materials. Since, the materials that make up the pillow matter, you should carefully make your choice of pillow depending on the type of material of the pregnancy pillow. Hypoallergenic Fillings. You and your ﻿b﻿﻿aby’s healt﻿﻿h should always be a priority. This should be considered when it comes to finding maternity accessories like a pregnancy pillow. Some pregnancy pillows are made with hypoallergenic fillings. If you are prone to allergies, pregnancy pillows with hypoallergenic fillings may be the best option for you. Memory Foam. There are maternity pillows that are made with memory foam. Memory foam responds to the pressure that is applied, allowing it to conform to the shape of the body. Organic Fillings. Some pregnant women prefer the smell of organic in their pillows. If you are one of them, you should consider buying a maternity pillow with organic fillings. Organic fillings comprise of eco-friendly materials like cotton and wheat. Aside from the type and the material makeup of a pregnancy pillow, there are other important factors that you need to consider. For instance, you should consider how to care, clean and maintain the pillow. If you are planning to use this even after you have given birth, you might want one that is easy to clean, so it retains its quality and functionality. You should also consider the shape of your body as well as your height. If you are plus-size woman, you might want to purchase a larger pillow that is also symmetrical to the shape of your body. If you are taller, you should consider purchasing a pillow that is right for your height. The position in which you sleep matters, too. If you sleep on your back, stomach, or side. Maternity pillows come in various shapes and the shape will determine comfort in your preferred sleeping position. You should choose a pregnancy pillow that fits your preferred sleeping position to promote comfort and reduce pain. The Comfort U Total Body pillow is an oversized maternity pillow, which some pregnant women would definitely find more comfortable. Both short and tall women can make use of this pillow without any hassle. 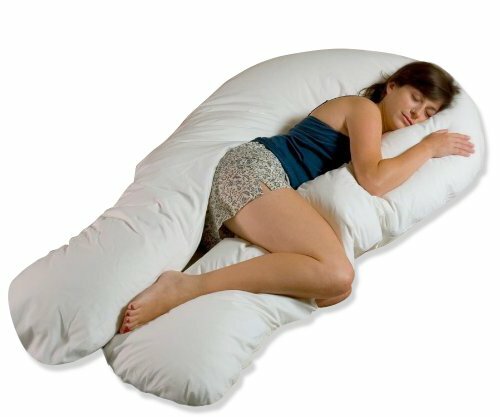 Regardless of your height and body frame, this maternity pillow may just be the best one for yours! This pillow is made with a unique filling known as Fusion Foss. This filling is a synthetic polymer that does not flatten over time. Not just that, this is also breathable and will not cause overheating when you sleep on it at night. This pregnancy pillow offers versatility at its finest. While this pillow may have been designed for sleeping, there are other applications in which this pillow can be useful. In fact, you can use this pillow while relaxing, curled up and watching your favorite shows or while reading a book. 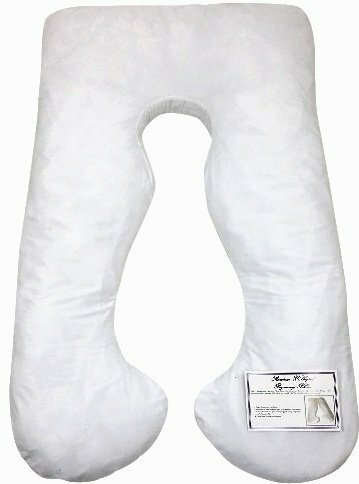 This pregnancy pillow offers full body support that prevents sciatica and lower back pain. It also cradles your belly and provides head support to promote breathing and prevent heartburn. This pillow is made from polyester filling with coves that can be removed for easy washing. Can use while relaxing, watching TV or reading a book. Using the wrong pillows during pregnancy can lead to back pain, sore neck, and shoulder aches. However, with the PharMeDoc Total Body Maternity Pillow, you do not have to worry about feeling the discomforts anymore. 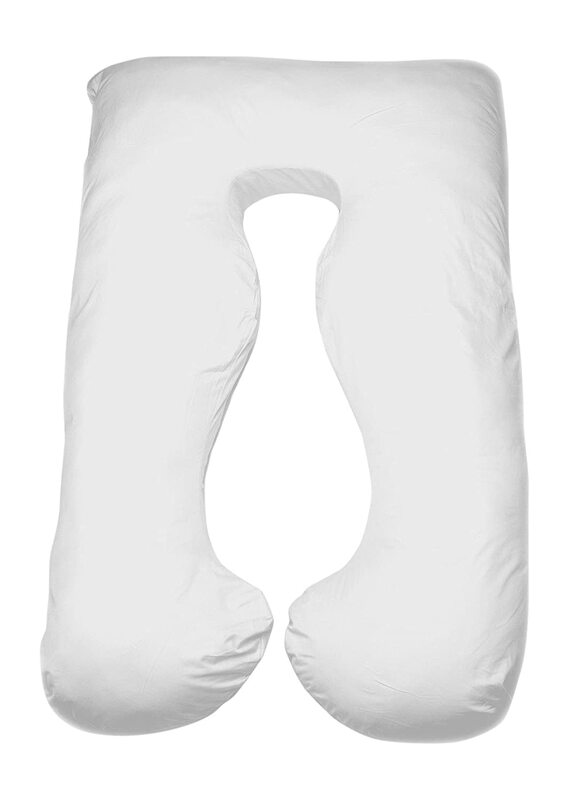 This maternity pillow offers exceptional support from your head down to your toes. It is made from cotton fabric, which is both durable and comfortable. This pillow is also free from lead, phthalate, and BPA. Not just that, this pillow also comes with a zippered removable cover, ensuring effortless cleaning process. Free from lead, phthalate, and BPA. This pillow offers both support and comfort. In fact, the Total Body Maternity Pillow can make you sleep better at night, regardless of your sleeping position. Not just that, this maternity pillow is made from the highest quality materials to ensure durability, exceptional support and comfort. This pillow is made from durable and breathable materials. However, you may need to purchase the pillow cover separately. 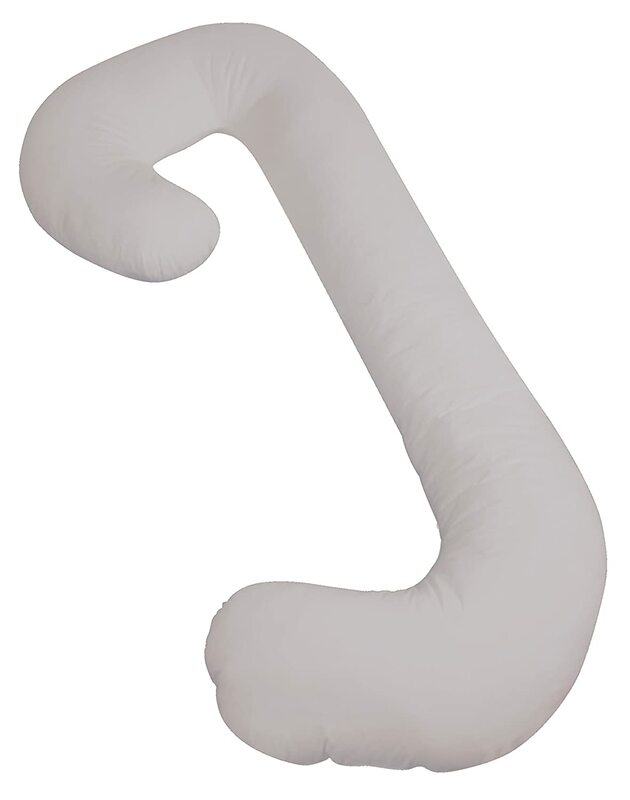 This U-shaped maternity pillow will snuggle you comfortably regardless of your preferred sleeping position. This pillow is designed to fit the unique shape of the body to promote maximum comfort. This pillow is symmetrical on both sides, ensuring that you remain comfortable in one way as the other. This pillow is also designed with a removable pillow case with a built in the zipper for easier care and cleaning. In choosing a pregnancy pillow, the price should not be the only thing that you need to consider. There are other factors that you have to think about like the type of maternity pillow, the material the pillow is made of, the shape of your body, and your preferred sleeping position. The Comfort U Total Body Pillow has taken the lead among the best pregnancy body pillows in the market. 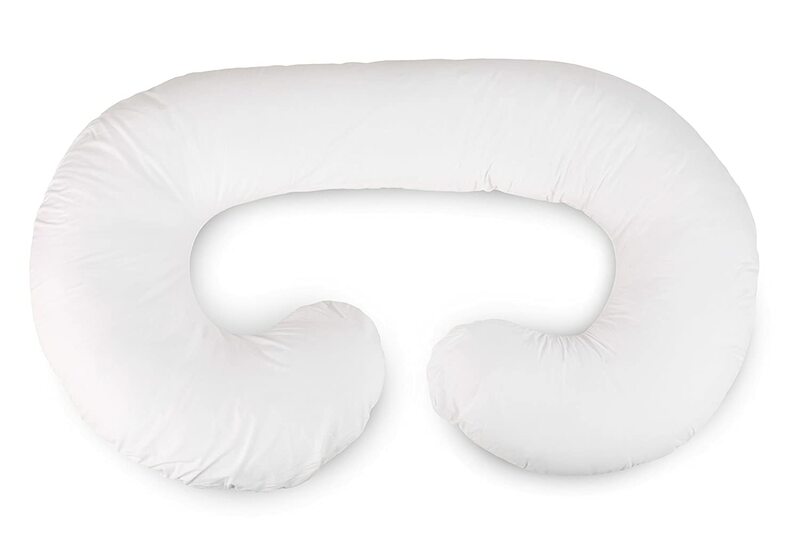 With its firm filling and soft pillow case along with the exceptional support it provides, this maternity pillow is definitely one of the best ones in the market. Despite not having any contoured interior, this is still an exceptional pillow that offers comfort. Also, this provides support to the belly, back, hips, and neck.